This is a post full of firsts! 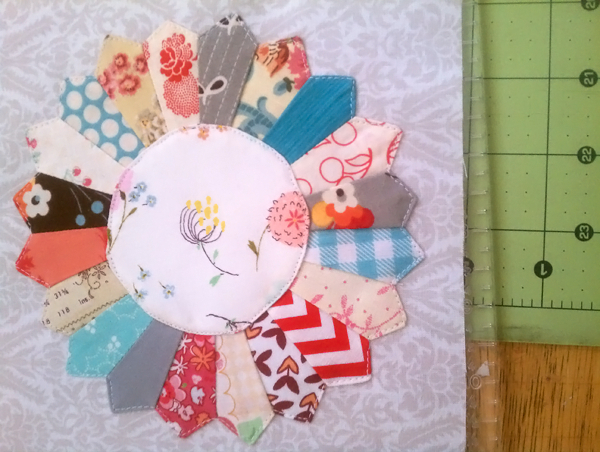 I've never finished a quilting project before, so this single project includes the first time I: made a dresden plate, sewed a circle, appliqued, quilted, and bound. Considering all of this, I am incredibly, incredibly proud of it! I made it for a swap with the Tucson Modern Quilt Guild and the Bakersfield Modern Quilt Guild, and let me tell you...it was somewhat emotional to have to send this away! Lots of fabrics used here! 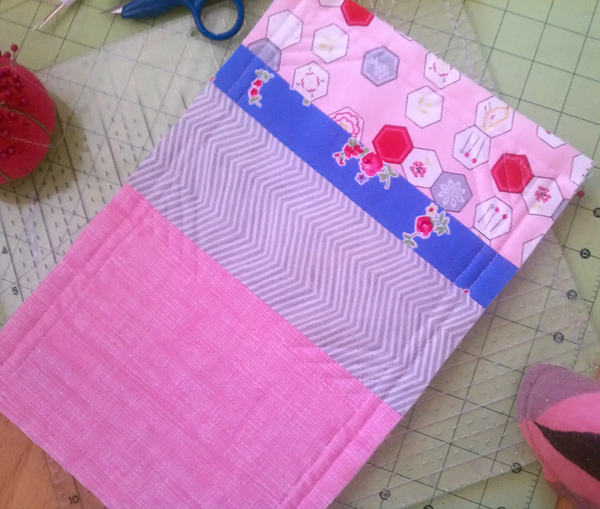 I only used my scrap bag for the front of the mug rug. Since the dresden plate is so tiny (each blade was about 2" long, and the finished plate is approx 6" in diameter), I could afford to use some really good ones! A lot of scraps from Sew Me a Song, some Flea Market Fancy, a touch of Tula Pink. I didn't have much of a color scheme, just went with something balanced but eclectic and scrappy! I forgot to take a picture of the backing after it was finished, apparently, so here is pre-binding (and a little bit of my shirt in there too, whoops). Fabrics - I used a pink sketch, a Robert Kaufman chevron (not sure which one! 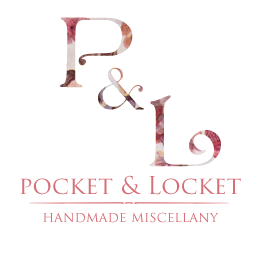 ), some PKM and Aneela Hoey Sew Sketchy. 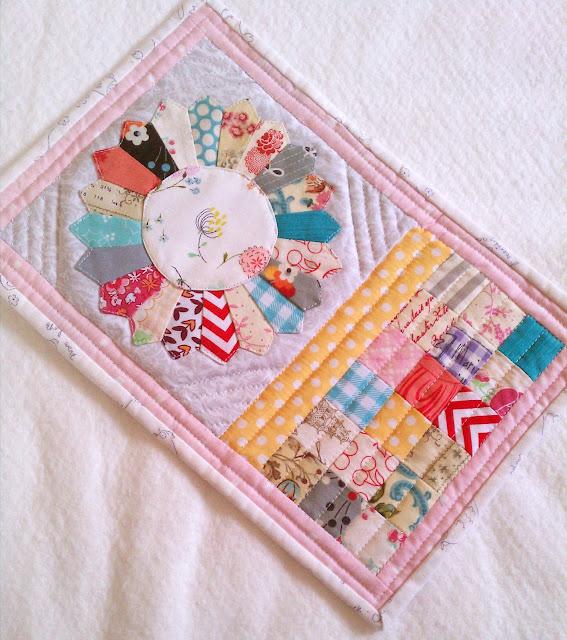 The patchwork half is made of 1" squares, using the fabrics as the dresden. 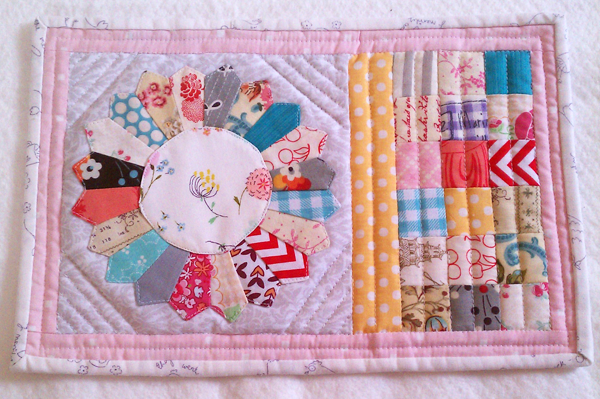 The border is more Aneela Hoey, and for the binding, I used a leftover jelly roll strip I had from my Posy project ♥ I thought it was such a sweet way to frame it up! I posted my original sketch on Instagram, so you can see how my vision changed a bit - originally, I thought the dresden plate would finish smaller, so it would make sense to have a little bit more going on. As it was, it ended up bigger, so I simplified it to this! cute little dresden!! 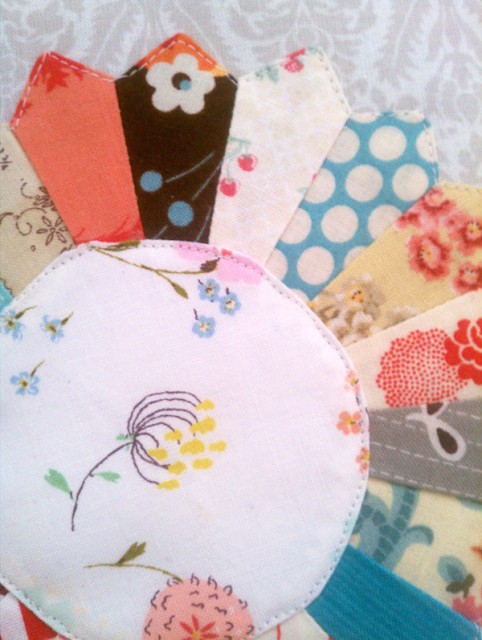 love all of the yummy fabrics you used. Congrats on all of your firsts! How sweet! I love that the dresden kind of calls out to the coffee mug: "put yourself here." I love your mug rug. 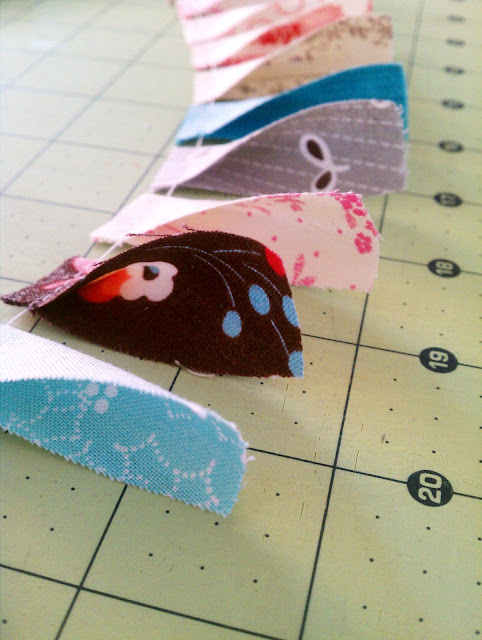 I think all these scraps were made to go together! They are just so sweet, without being too soft (that brown FMF keeps them from being too low-vol mushy). I always thought Dresdens must be so hard too, until I made a few last fall. 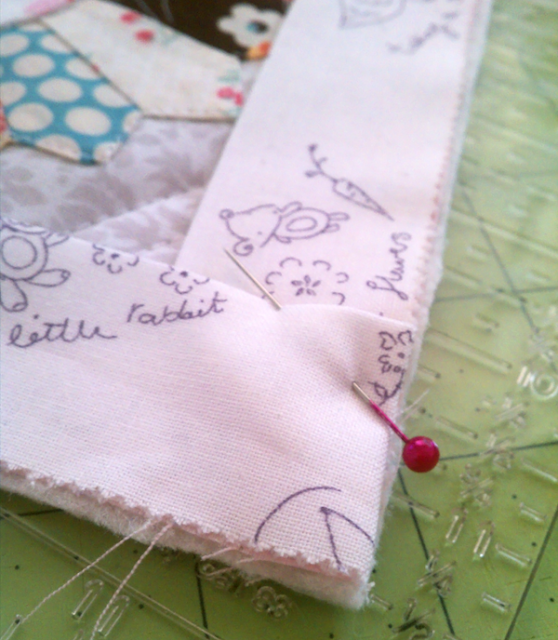 Maybe it's the topstitching and applique that are tricky?